A truly unique campaign is being hosted at Three Spires from July 2018 – June 2019, with charity quite literally at the heart of it. Over the next year, the Lichfield shopping centre will be working with four different charitable causes, all of which support different parts of the community. Every three months a section of the centre will be transformed with a different colour that represents the different organisation for that quarter. A Giant Heart will be installed in Three Spires shopping centre where shoppers can add coloured tags to show their support of the charities alongside a blooming wall of fame, where visitors can get those all-important selfies. Mind, who provides advice and support to anyone experiencing mental health problems, will be the first of the four good causes coming to Three Spires, and for anyone who donates to the charity will receive a blue tag that they can hang on the giant heart. Retailers will also be taking an active role over the next 12 months, with many hosting donation points with anyone who donates in-store getting the dedicated tag. The four charities will be running a range of different activities for members of the public to get involved in and Three Spires Centre Manager, Lisa Prokopiou, said she was delighted to be launching the year-long campaign. 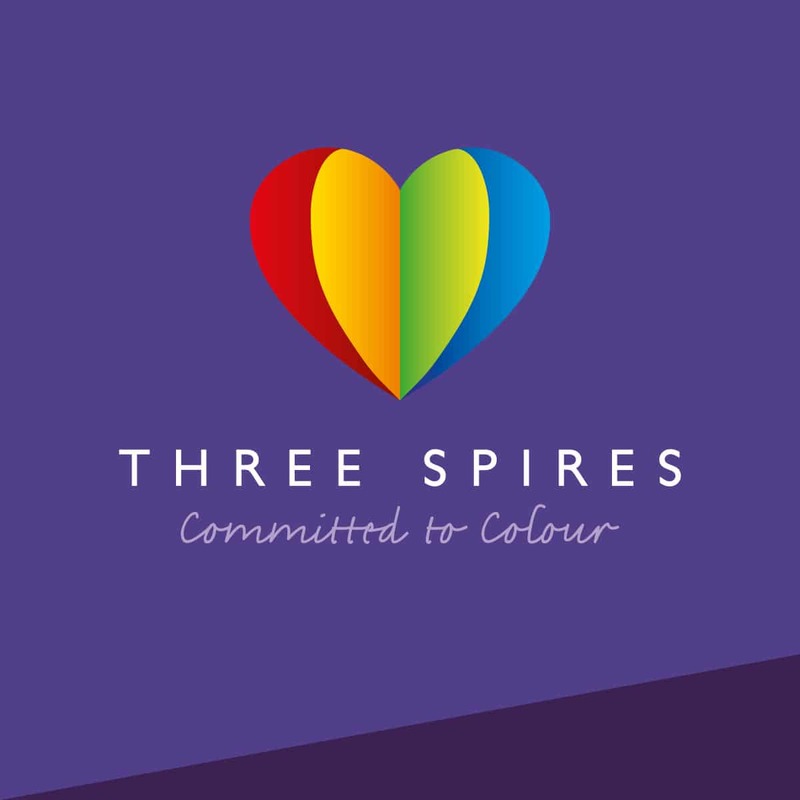 “Supporting charitable causes is hugely important to everyone at Three Spires,” said Lisa, “and we wanted to do something that was unique to the centre and really allowed the community to feel a key part of it. The Three Spires year of colour will be starting on Wednesday 25 July and will run for a full year in the centre. Each quarter a different charity will be the focus and they’ll be running their own unique programme of fundraising events and activities. Keep updated to our charities and just how much the people of Lichfield has helped us support charities close to our hearts. Follow us on Facebook, Twitter or Instagram for more information and updates about our activities.